Do you love restaurant style fried rice? 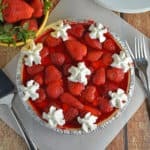 What if I told you that you can make the same at home!? 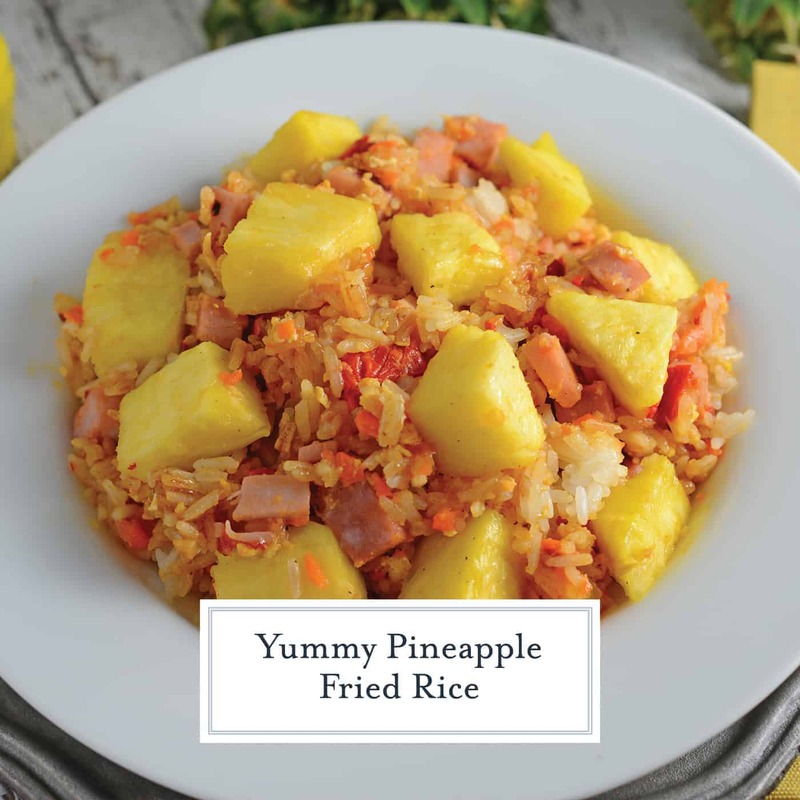 Pineapple Fried Rice is right up your alley! 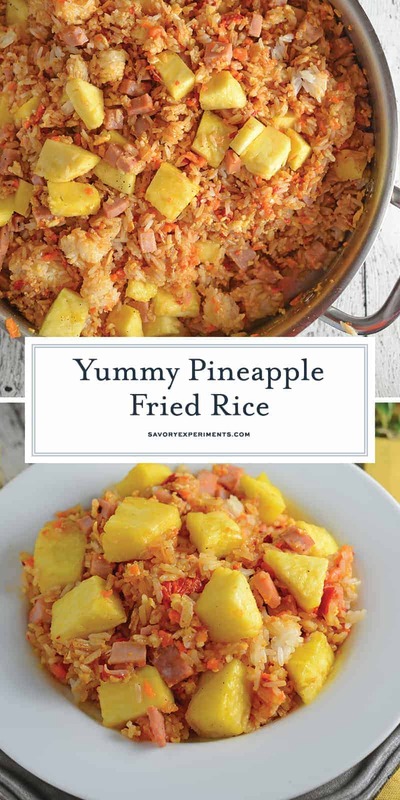 Pineapple Fried Rice is a quick, easy weeknight meal that’s much cheaper, tastier and healthier than take-out! 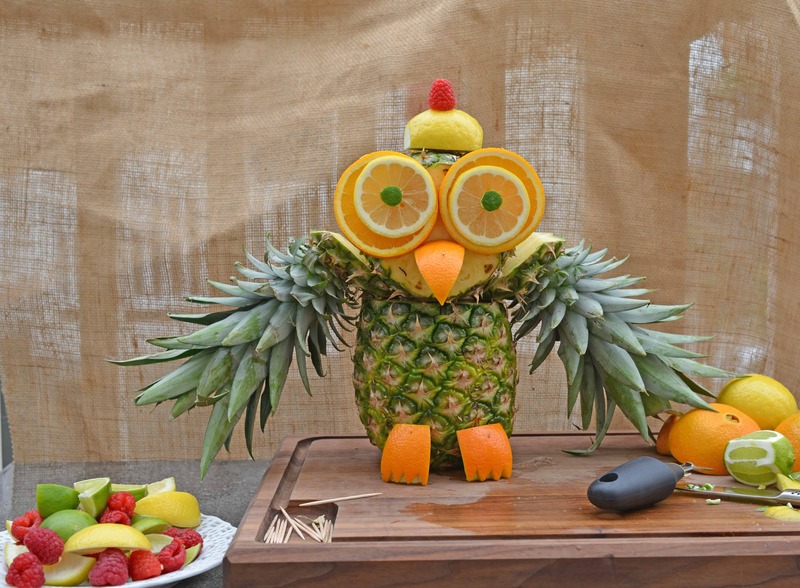 Make it a vegetarian meal or add ham. Fried rice is the best. 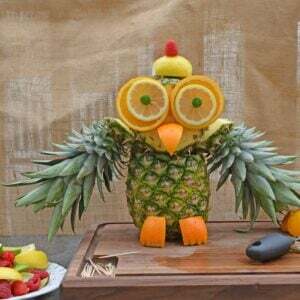 I usually only order it out because it is time intensive, but on this date I was making a Pineapple Owl Sculpture and needed a good recipe to use up all the pineapple when Hootie (I named my owl sculpture) was through entertaining the guests. Pineapple Fried Rice was my answer. Not challenging, nor sophisticated, fried rice does require time. Not hands-on time, but time to have day old jasmine rice. Or at the very least, cooked and then chilled. 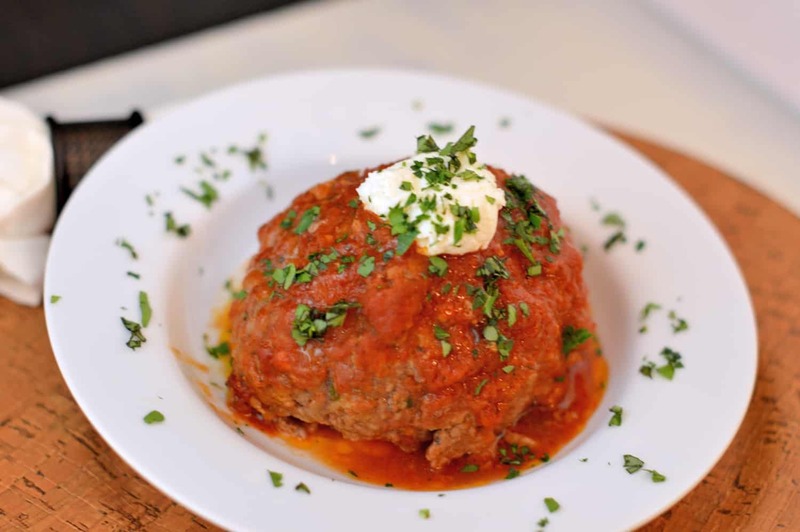 The grains need to dry out adequately so it doesn’t turn starchy and gooey on the second cooking. Some Chinese food restaurants will even say that 3 days of drying is necessary. I barely know what is for dinner tomorrow, so having the foresight of three day is pretty hard for me. Restaurants might even lay the rice out at room temperture in a thin, single layer to allow air to circulate around each and every kernel. You can do the same thing for a quick chill. Just gingerly arrange your rice on a rimmed baking sheet and chill for about 1 hour. 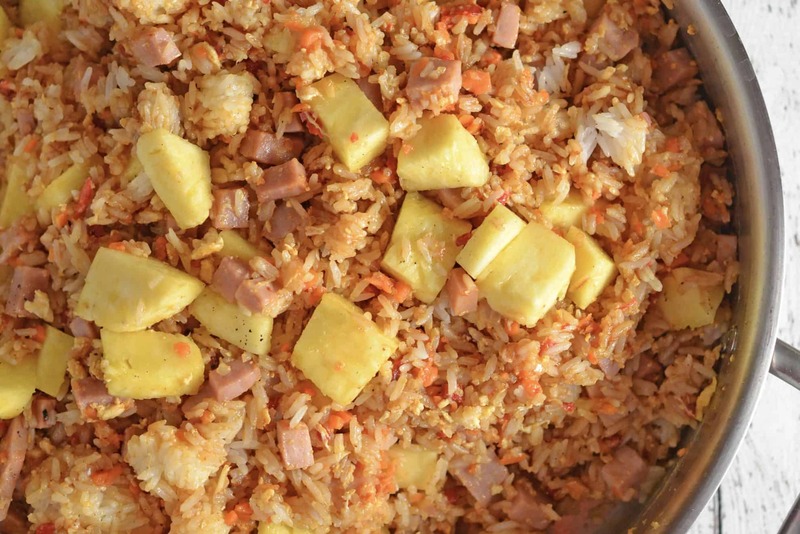 Ham is the protein of choice for my Pineapple Fried Rice, but it is typically seen in Polynesian culture made with SPAM. Just the word SPAM gets a chuckle here in the states, but in Hawaii and other locations, SPAM is an acceptable and even popular form of pork. Really, it is the same as the pork roll we eat and love. 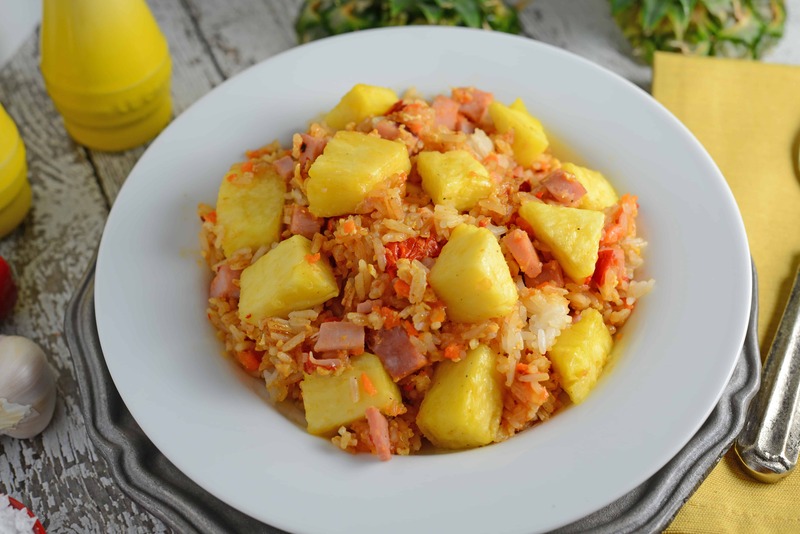 For your Pineapple Fried Rice you can use ham, SPAM or nothing at all, making it a vegetarian fried rice recipe. Also check out my tips on making Perfect Rice before getting started! 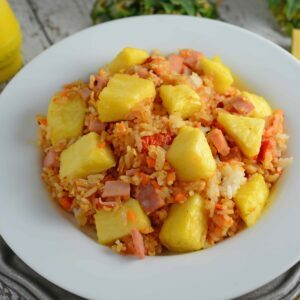 Pineapple Fried Rice Recipe - A quick and easy weeknight meal that's so much cheaper, tastier and healthier than take-out! Make it a vegetarian meal or add ham. 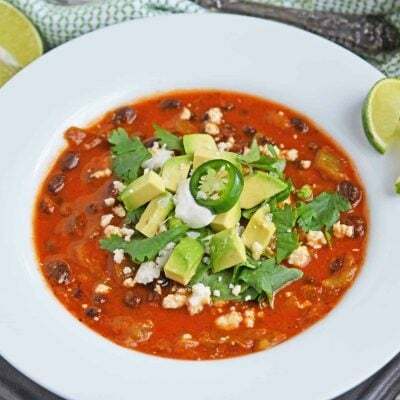 In a small bowl, combine serrano pepper through sugar. Allow to sit for 5-10 minutes. In another small bowl, whisk together dark soy sauce through black pepper, set aside. Add vegetable mixture to hot oil, stirring for 2-3 minutes, or until it starts to soften. Add eggs, tossing like you wold with scrambled eggs. 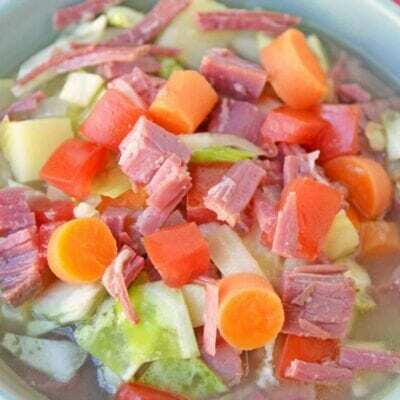 When eggs are fully cooked, add ham, stirring for another minute. Add rice, breaking into pieces. 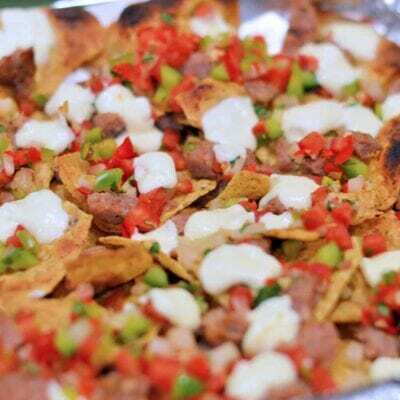 Drizzle with sauce mixture, tossing instead of stirring (stirring will make rice mushy). Lastly, add pineapple and cashews, heating and tossing for only one minute before serving immediately.